With a population of over 7 million people and counting, the Dallas area recently experienced the second-largest population boom in the nation. Guess the secret’s out. Dallas is pretty awesome. And since you’re reading this article, it’s safe to say you’re among the 400 folks making the DFW area their new home each and every day. Moving to a new place is never easy, but when that new place happens to be one of the biggest metropolises in the U.S., it can be pretty damn overwhelming. It can be helpful to have some insider tips for exactly what living here is really like. Not what you see in the movies or on TV. Not what you hear about in country songs. Real life – from people who know and love this amazing city. Ready to get started? From one “Dallasite” to another, here’s everything you need to know about living in Dallas. When most people think of Dallas, they think big hair, longhorns, ten-gallon hats and, of course, “America’s Team,” the Cowboys. In reality, this area is so much more. In fact, the city has gone through what can only be described as a rebirth over recent years, transforming from a place where those old clichés still held true to one where business innovation, youthful enthusiasm and refreshing diversity mark the atmosphere. Yet, stroll down any one of the many streets that wind their way around town and you can’t help but still feel that deep-rooted sense of community that has been a part of Dallas for generations. The Dallas metroplex is comprised of a labyrinth of neighborhoods, each of which boasts its own distinct personality and unique story to tell. Whether it’s the vibrant nightlife in Uptown, the soulful history of Deep Ellum, or the laid back vibe of Lower Greenville, there’s a place for everyone to fit in around here. And boy, are people figuring that out, as evidenced by the sudden boom in luxury apartments being built to accommodate the up-and-comers working at the many corporations that have put down roots in the Big D.
All in all, Dallas offers the best of everything – from ample career opportunities to affordable living to the perfect balance of industry and nature. Whether you’re just venturing out on your own for the first time, are relocating from another city or state or you’re looking for a safe place to raise a family, you won’t be disappointed. Simply put, Dallas is the ideal place to live, work and play and once you’ve spent some time here, you’ll understand. One of the things that attracts many of the transplants to Dallas is the fact that the cost of living here is considered to be, at the very least, favorable. That’s not to say it’s super cheap – especially given the fact that so many new, state-of-the-art homes, condos and apartment buildings are going up. As they say, you get what you pay for, so if you’re moving from some Podunk town in the middle of the Midwest, you may find the prices here to be higher than what you were hoping. Conversely, if you’re relocating from, say, New York City, you’ll probably be pleased with your new digs. For those looking to rent an apartment, the cost will ultimately depend on the neighborhood in which you decide to live. As with just about any city in the country, certain areas will command higher rates than others based on a number of factors. For instance, your wallet would probably be much happier if you rented in Plano versus the heart of Downtown. Of course, it all depends on what you’re looking for, what you’re comfortable spending and what features and amenities are most important to you. Generally speaking, the average cost of rent in the Dallas area typically runs around $1,000 for a studio or one-bedroom. If you need two or three bedrooms, that amount will likely go up to around $1,500 – $1,900 respectively. Of course, this is just an average and, as mentioned, a variety of factors will come into play to determine how much you’ll actually pay, but this should at least give you a general idea. As with apartments, the area in which you choose to live will have an impact on how much buying a home in Dallas will ultimately cost you. For one person, the estimated average cost of utilities (heat, electric, gas, garbage, etc.) comes in at around $115 per month. That number jumps up to $180 if you’ve got a roommate. Internet costs about $40. To stock the fridge and cupboards with all the basics for the week (milk, eggs, chicken, bread, etc. ), you’re looking at around $35. Of course, if you have a taste for the finer things in life, expect to pay more. If you plan on eating out, the average cost of a meal at an inexpensive restaurant in Dallas is around $12. That jumps up to $45+ for swankier places. Most of the time it’ll probably fall somewhere in the middle. This will depend heavily on exactly where you live and how far you need to go to get to work. It’s no secret that Downtown Dallas is known for its lovely gridlock highways, so if you’re living on the outskirts but working in the big city, you can expect to spend a decent amount of money to replace all the fuel you’ll burn sitting in traffic every day. At the time this resource was created, the average price per gallon of gas in Dallas was $2.16. Again, this will vary based on actual area. You can check the prices narrowed down by county here. To register your vehicle it will cost $50.75 plus a surcharge of $10. Of course, one of the nicest things about Dallas is that many of the recently updated districts are conveniently “walkable,” in that it’s easy to get to most nearby destinations – like restaurants, stores, bars, local parks and even workplaces – on foot. Obviously, if you can pull this one off, you’ll be saving a ton of dough in the process (and be healthier to boot). There’s also the option of public transportation, which is relatively cheap. The Dallas Area Rapid Transit (DART) is safe, convenient and affordable, with monthly passes available for around $80-$160, depending on service area. There are also weekly, day and even hourly passes available for shorter-term needs. If you happen to live in the Uptown area, the McKinney Ave Trolley (M-Line) is pretty sweet – especially since it’s totally free to ride. Texas doesn’t have income tax, which is pretty darn awesome. Dallas does, however, assess a sales tax rate of 8.25%, which is a combination of the 6.25% state sales tax rate and the city rate of 2%. If you own a home, the average effective property tax rate you would be assessed is 2.186%. So, if your home is assessed at a value of $200k, you’d owe roughly $4,372 in property taxes each year. We’ve already mentioned how rapidly the Dallas area is growing and how this growth has begun to further shape the identity of each neighborhood, district and suburb. With everything from sleek, high-rise apartments featuring every amenity under the sun (rooftop pool, anyone?) to unassuming townhomes to sprawling estates and just about everything in between, there’s surely something to suit every need, lifestyle and budget. Walk down trendy McKinney Avenue today and you’d be hard pressed to believe that the area actually dates back some 125 years to a time when it was once referred to as Freedomtown for its emergence as a settlement for freed slaves. Today the neighborhood now known as Uptown is as modern and dynamic as they come. Bustling with energy and teeming with things to do, see and experience, Uptown is home to an impressive selection of restaurants, pubs, shops and other businesses. Supremely walkable, it’s no wonder Uptown has become one of the most beloved and sought after places to live in the entire DFW metroplex. Located just a few short miles from bustling Downtown, Oak Lawn is like a mecca for those seeking the perfect balance between work and play. This community is richly diverse, creating a vibrant atmosphere that is buzzing with life. Dining, shopping and partying abound, with options to suit every taste and preference. The folks here are fiercely proud of their progressive, open-minded attitude, making it a favorite spot for the LGBTQ community (though people from every walk of life are welcome). Nestled comfortably between Lower Greenville, Uptown and Highland Park is the swank neighborhood of Knox-Henderson. What this locale lacks in square mileage it more than makes up for in dynamic personality and decidedly cozy ambiance. Residents and visitors alike flock to the area to hit the pavement, visiting the plentiful shops, bars and eateries, and perusing the historic homes that line the area’s charming streets. Given the recent boom in available housing, Knox-Henderson has become one of the most desirable residential destinations in the Dallas area. Of course, these are just a few of the many ‘hoods to choose from, the rest of which are also pretty awesome in their own right. You really need to do some research and exploring to see what area is right for you. There’s a lot of talk about how many restaurants, bars, nightclubs and shopping areas there are in Dallas, but make no mistake, the DFW area is practically bursting at the seams with cultural enrichment. In fact, Dallas is home to the largest contiguous urban arts district in the country. Ever hear of a little place called the Dallas Museum of Art? There’s also the Winspear Opera House, Nasher Sculpture Center, Wyly Theatre and countless other museums and galleries too numerous to list. Enjoy some world-class art, music and film, nice and close to home. The choices of what, where and how to eat in Dallas are almost as numerous and diverse as the people who live here. In fact, if we took the time to list them all, we’d be here well into next year and probably nursing a severe case of carpel tunnel syndrome. Suffice it to say that whatever you’ve got a hankering for, you can find it in abundance in the Big D.
From greasy spoon diners to 5-star restaurants, and an impressively eclectic selection of cuisines (far more than just Tex-Mex and BBQ), you’ll never go hungry around here. For a truly unique experience, check out the Truck Yard in Lower Greenville. Bonus – many Dallas eateries (like the Katy Ice House) are also dog-friendly, so feel free to bring Fido along. If there’s one thing about Texans, it’s that we love our sports. Dallasites are no exception, though with so many transplants, we may not all root for the same team. In any case, catching a live game is no problem in and around DFW. The Big D is home to some of the biggest names (and stadiums) in professional sports, including the Dallas Cowboys at the AT&T Stadium, the Texas Rangers at Globe Life Park and the Dallas Mavericks and Dallas Stars, both of whom share the American Airlines Center for home games. And if you don’t happen to follow Dallas teams (say it ain’t so! ), well, you can still come along just for the atmosphere. What’s hotter than the city at night? Whether you’re into the full-blown nightclub scene or prefer to while away the evenings in a more casual, laid back setting, Dallas once again will not let you down. Here we’ve got everything from smoky cigar bars to music-thumping dance clubs to trendy martini bars and just about anything else you can think of. Grab some drinks with friends at the Nodding Donkey, dance the night away at the Lizard Lounge, or take in a drag show at the Rose Room. You most certainly won’t be bored! Best of all, most of these hot spots can be reached on foot or with a short ride from Uber or Lyft for a convenient and safe night out. As mentioned, most Dallas neighborhoods are actually known for their walkability, which means you won’t have to worry about the expense of owning a vehicle. If you can’t hoof it to where you want to go, public transportation via the DART is always an affordable option (though it may take a while to get used to the routes and schedules). There’s also the awesome McKinney Ave Trolley service, which is absolutely free to ride. And if you do happen to have your own car, there are plenty of highways and bi-ways that will get your wherever you need to go. Just be sure to leave enough time for the infamous Dallas traffic. Whether you’re in the market for luxury brands or are on a decidedly more frugal budget, you’ll have no trouble finding everything on your list at any one of the many Dallas area shopping centers and malls. The massive Galleria Dallas offers access to over 200 stores while the streets of West Village are lined with retail shops and carefully curated boutiques. For a more unique shopping experience, the Bishop Arts District boasts an eclectic collection of galleries, shops and studios, perfect for a relaxing day of exploring and treasure hunting. Last, but certainly not least, living in Dallas also affords plenty of opportunity to get outside and enjoy some of the beautiful weather we’re blessed to have here. Take a walk, jog, hike or bike ride along the meandering Katy Trail, join an open-air Tai Chi class in spacious Klyde Warren Park, explore the more than 66 rolling acres of lush foliage at the Dallas Arboretum and Botanical Garden, or get in touch with nature at the Heard Natural Science Museum and Wildlife Sanctuary. 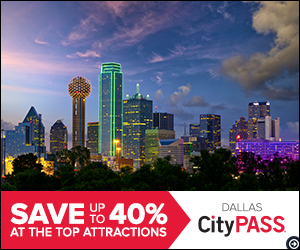 And, of course, we can’t forget the world-famous Dallas Zoo, the largest zoological park in all of Texas. With such a favorable residential experience, and no shortage of things to do, see and experience, there’s really no question why Dallas is fast becoming one of the nation’s most coveted destinations. What will you discover today? Get out there and find out!